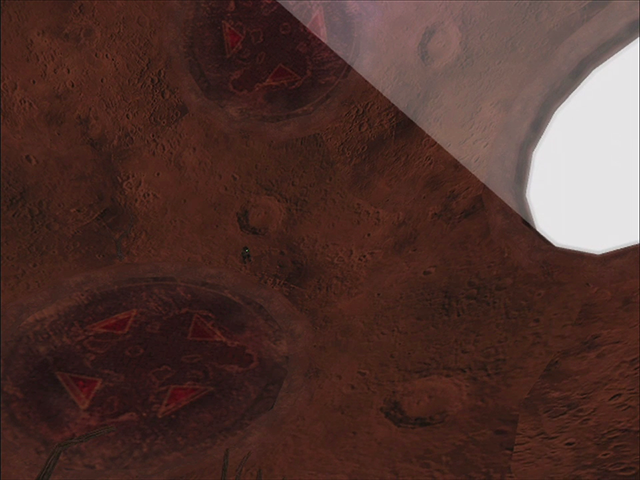 ​The Outside In World ​is a location and part of Round 5 in Blinx 2: Masters of Time and Space. Despite being much smaller than its designation as a world implies, the Outside In World is a distinct world. Rather than the inhabitable portion of the planetary mass being on the exterior, with gravity pulling inwards, the inhabitable portion is on the interior while gravity pulls outwards. A number of craters also exist that can be temporarily broken open to reveal what lies outside the planet, though this is simply a white solid that emits an incredible light. Despite there being no light sources, the interior of the planet is still visible, if somewhat dim, when all craters are closed. In some non-spatial sense, the Outside In World is very close to the Time Oil Well World, as a time vortex present in the latter resulted in time energy readings obscuring the presence of a Big Crystal fragment in the former. This fragment was collected by the Tom Tom protagonist from a large time monster known as the Shadow Claw. Of note is that the world is small enough for Bombay to circle around it by running in a straight line for less than a minute.